The Launch Pad: Get Involved in Lunar Exploration !! Get Involved in Lunar Exploration !! Space and lunar exploration are truly exciting! Whenever I am telling someone about the Google Lunar X PRIZE and what we are doing here at the X PRIZE Foundation, he/she gets incredibly thrilled about it! I heard so many people telling me that they are finding lunar exploration so exciting and that they’d love to get involved! But that it’s only a dream and there is no way for them to actually get involved! Because they are not engineers or scientists, because they are from a country that doesn’t have a lunar exploration program, because it’s too difficult, because they are too young…Just too many reasons!! I am always surprised to see people giving up so quickly, without even seriously thinking about if for a reasonable time, when there is just so much to do out there! So I couldn’t think of a better way to inaugurate this new blog than giving away a few ideas, tips and resources on how YOU could get involved in lunar exploration! - Parabolic Flights: Let’s start with something pretty cool! 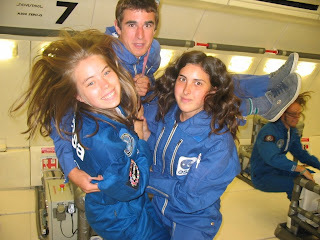 Most space agencies have a program to allow students to fly in zero-G parabolic flights!! This really could be you! Most of the time, what you'll have to do is to come up with an idea for an experiment that would be performed in microgravity. 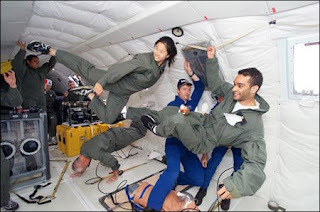 Again, while many experiments are about experimental physics (fluid behaviour,…) or human body behaviour in zero-G, there are plenty of them that can be turned in fun experiments that don’t really require a strong scientific background, such as the Space Ball 3D (Ever tried foosball in zero-G?) or the Space Print (Ever wanted to try paintball in zero-G?) experiments! Of course, this may not seem to be directly related to lunar exploration, although you often want to test your lunar orbiter design in zero-g before the real mission in order to validate it (especially deployment mechanisms for example), so you can both have fun and get ready to shoot for the Moon at the same time! - Student Lunar Orbiter Projects: There are several opportunities for students to get involved in real projects and to get hands-on experience on actually designing, building and launching a lunar spacecraft! For European students, the main project is the European Student Moon Orbiter (ESMO): the SSETI association, which is gathering students from all over Europe, is building this lunar orbiter, building on the legacy of SSETI Express, their first Earth-satellite launched in 2005 and on the European Student Earth Orbiter (ESEO) to be launched in the not-so-distant future! Still recently, more student teams were searched for to join ESMO, so you may want to check this out! Another opportunity for American students that want to build a lunar spacecraft is the American Student Moon Orbiter (ASMO). Again, students will build and own the spacecraft, not NASA, and university students will even mentor customized related education activities for K-12 students too! NASA Education: Some of the greatest programs are the famous NASA Academy for college students and the cool dedicated activities for young kids. European Space Agency (ESA) Education: One of the coolest most recent program in lunar exploration is the brand new Lunar Robotics Challenge. Japan Aerospace Exploration Agency (JAXA) Education: There are so many things going that JAXA opened a dedicated space education center! Find out more on the education activities related to the ISS and the Space Shuttle! National Space Agencies: Many countries have a space education program through their national space agency. While I can't help but featuring the French Space Agency (CNES) and its Space Education Program , a quick look at this list of space agencies worldwide should allow you to find a geographically-customized space education program! 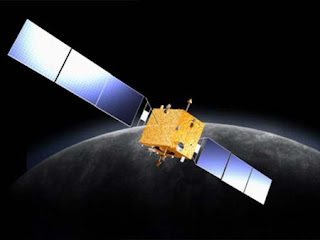 -Google Lunar X PRIZE: Join the new race to the Moon! Whoever you are, whatever you age, education or nationality are, if you have a passion for exploration, you can be part of the competition! I just want to point out that there are many places where you can get involved right from your computer. For instance, you may want to become actively involved in the blogging scene (our blogroll here shows just how prolific this scene is). Comment! Make your opinions heard! Second, there are a number of forums (including the Google Lunar X PRIZE forums) that provide great places for discussing all kinds of space related topics. And finally, you can check out any of the growing social media platforms. The Google Lunar X PRIZE alone has delved into YouTube, Picasa, Facebook, MySpace, Twitter, Pownce, FriendFeed, and Ustream (just to name the most popular).